This past Sunday, we had a surprise visit from the Labor Day Liftoff balloon festival. “The balloon gradually landed right in the corner of our parking lot,” said Brad Johnson of Springs Hosting. 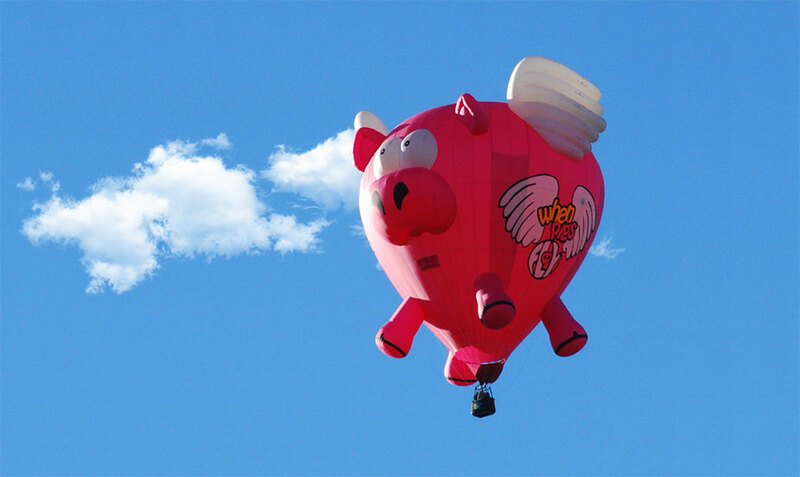 Doug Gantt was piloting the massive pink balloon in the shape of a pig, nicknamed the “Ham-Let.” Since hot air balloons travel where the wind takes them, it’s up to the pilot to find a suitable landing area to unload passengers safely. “It was pretty amazing to see the balloon up close,” Johnson added. The pilot left a bottle of champagne for our staff and gave his thanks for the short term use of the parking lot. Cheers Doug and we hope everyone had a fantastic Labor Day!